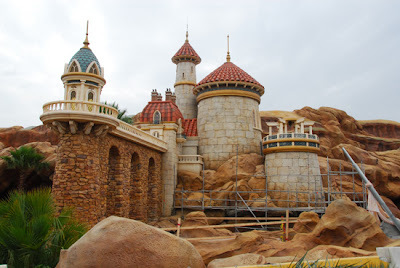 Disney has announced that December 5th is the Grand Opening of New Fantasyland at Magic Kingdom. Previews of the attractions will begin November 19th, including "Under the Sea ~ Journey of The Little Mermaid, Be Our Guest Restaurant, Enchanted Tales with Belle, Ariel’s Grotto, Gaston’s Tavern and Bonjour! Village Gifts." No mention is made of the remaining sections of Storybook Circus, including the just previewed Pete's Silly Sideshow. This may indicate that these areas will open before the November 19th preview date, though that is only speculation at this point.